This week I had the pleasure of meeting Jane Winkworth, who 25 years ago founded a brand that had us all suddenly realising that something was really missing from our wardrobes: ballet pumps. French Sole has since expanded into slippers and skate shoes, but it’s still its simple ballet shoes, available in myriad colours and with subtle shape options (toe cleavage or no toe cleavage? ), that it is best known for. I know a lot of you are fans! I am incredibly lucky to be one of around twenty fashion journalists who have been given the opportunity to design our ultimate flat shoe for a special project that will be announced next year. We each chose a shape from an existing last and then colour options from a HUGE selection of swatches, and French Sole’s designer sketched out what our shoe would look like. 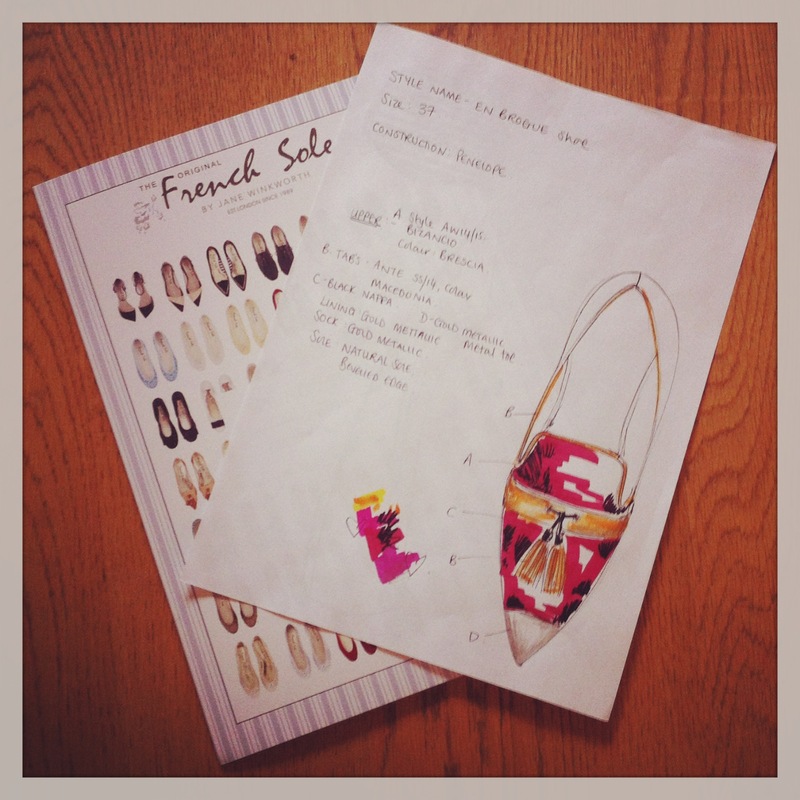 In around two months we will receive the sample of our very own French Sole shoes (handily, in our own sizes!). I can’t wait! I opted for the colours that I use on my blog design, with a burgundy leopard print leather, mustard leather piping and a gold toe cap. And don’t you just love that new pointy loafer shape? While I was there I took a peek at the new SS14 collection too. There are some gorgeous new styles; which are your favourites? I love them all, but none as much as the En Brogue shoe in the sketch at the top of course! I love the sketch! 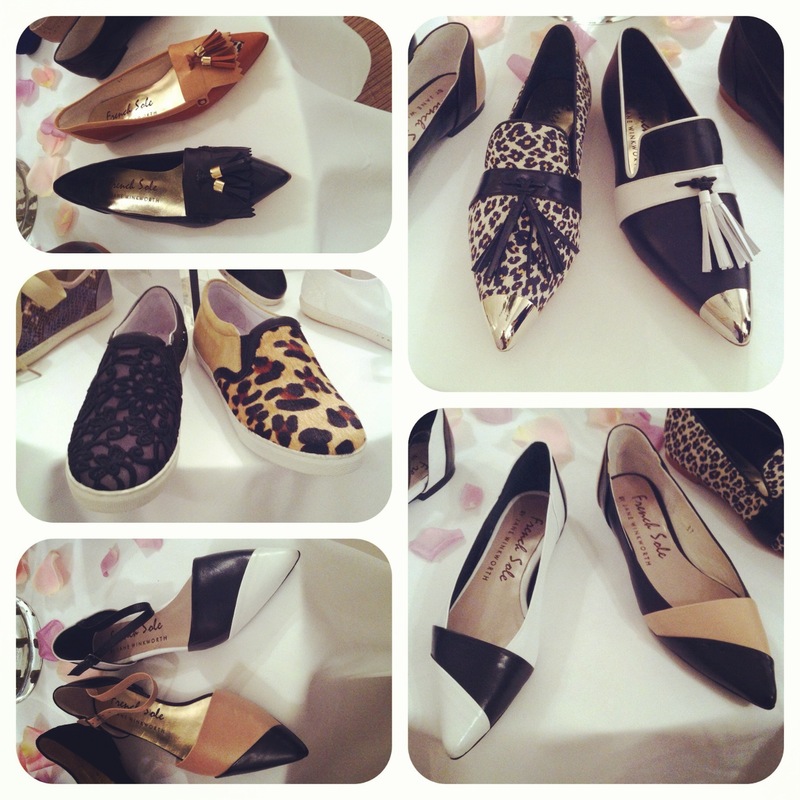 The pointy loafers are gorgeous!